Playing is very important for children. It would help them to become physically strong and psychologically fit. 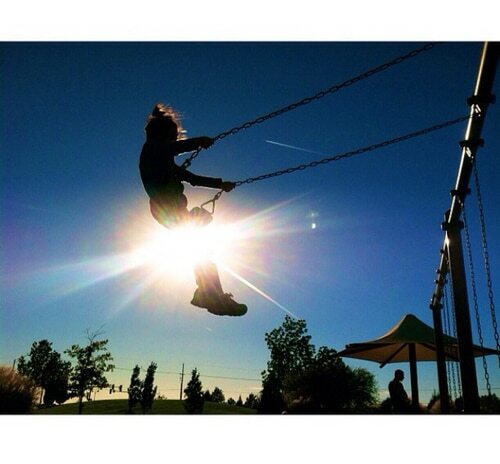 Swing sets offer children the pleasure and benefits of playing. A DIY swing set is tantamount to childhood. It is an important fact that in their earlier times children are to enjoy their games. A DIY swing set is a jungle gym that triggers your child’s imagination. It exercises them and helps them express their analytical powers. Playing is essential for the development of your child. It aids them to be humorous and spontaneous. It also builds their self-esteem, develops their positive outlook, and creates a sense of well being. These things are necessary to assist children to overcome obstacles in life and prepare them for a better future. Therefore, it is crucial to check the safety aspect of swing sets since it is a decisive play equipment for outdoor activity. When you’re planning to have a DIY swing set in your backyard this summer for your children, think of your child’s safety and the fun that it would bring. 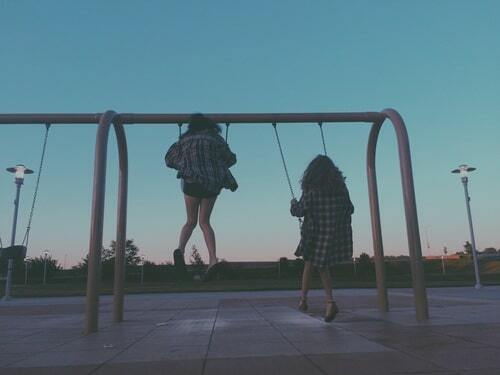 Modern swing sets are more like a mini playground. They’re complete with tent coverings, slides, ladders, and even a fort. With lots of options available, consumers are sometimes having a hard time to determine which swing sets are the best. Several DIY swing set companies offer a wide series of this play equipment. Through reputable online sites and stores, you are able to find and choose what perfect DIY swing set is suited for your child. 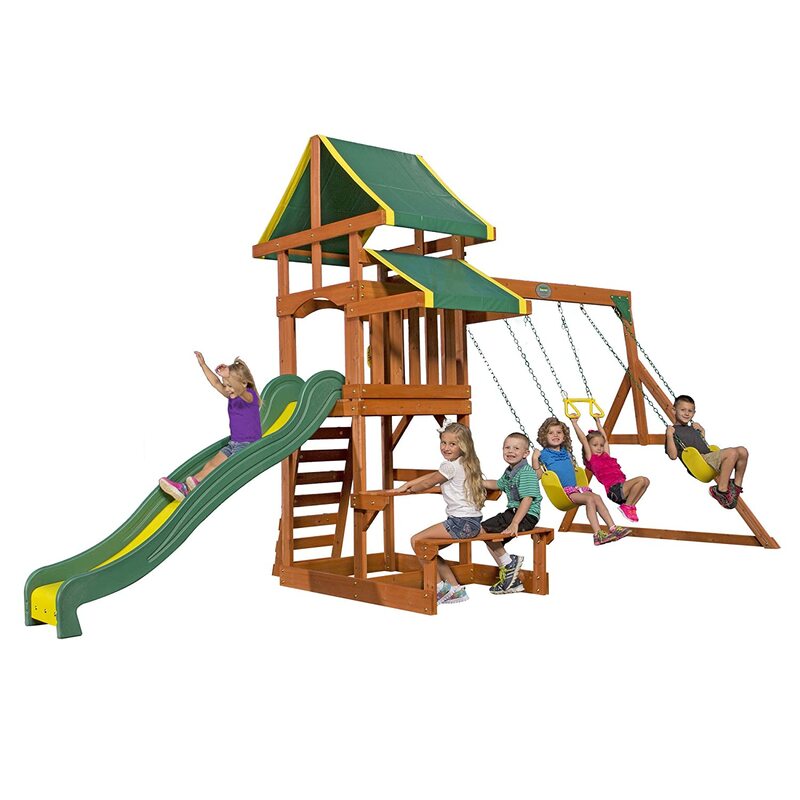 These stores also present both brand new and used swing sets together with plans and kits. When choosing an outdoor swing set, you will be faced with a lot of varieties – there are wooden pieces and parts, ready to be built by you; plastic tubes and pipes waiting to be assembled; and even metal and steel versions. 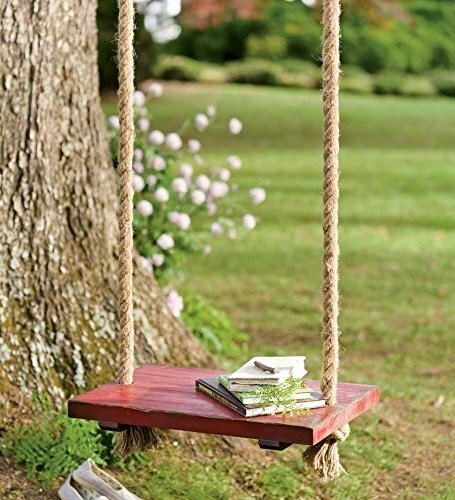 But whatever the made, these outdoor swing sets will surely make your child’s day. Outdoor play sets have different features and styles that you and your kids can choose from. Some backyard swing sets have see-saws, roman rings, ball hoops, and even slides that make your children’s playtime more fun and creative. Some playsets even include surfboard swings and gondolas. But whether with a sandbox or not, outdoor swing sets always encourage creative play and social interaction among children. If you have your own backyard swing sets at home, you provide your kids with hours upon hours of entertainment and fun. The first thing that you need to consider when you buy a swing set for your kids is the type of material it is made of. And to help you decide better, we have summarized the different types of swing sets that you can choose from. Wooden – Wooden outdoor swings give out a natural feel, just like the feel that playsets from years ago gave us when we were kids ourselves. Outdoor wooden swing set kits are now available that includes everything except the lumber, nails, and screws. In setting up an outdoor wooden swing, you can ask your kids for help and start the fun that instant. There are wooden swing sets that include a sandbox and a chalk wall for drawing, and a slide that is made of durable plastic. Plastic – Outdoor plastic swings are sturdy and with a functional design that lets the parts fit together with an interlocking system. This system makes it easy for the swing to set up, making it a hassle-free assembly experience. 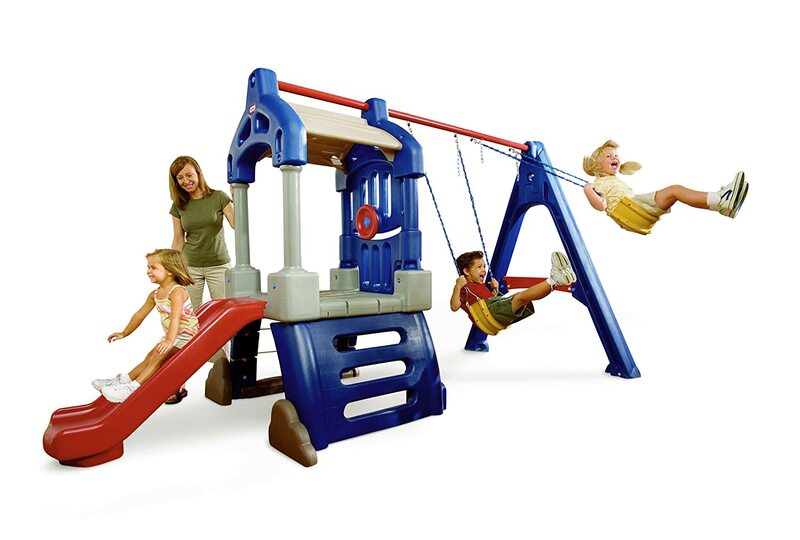 Outdoor swing sets made of plastic are usually lighter than their wooden or metal counterparts. 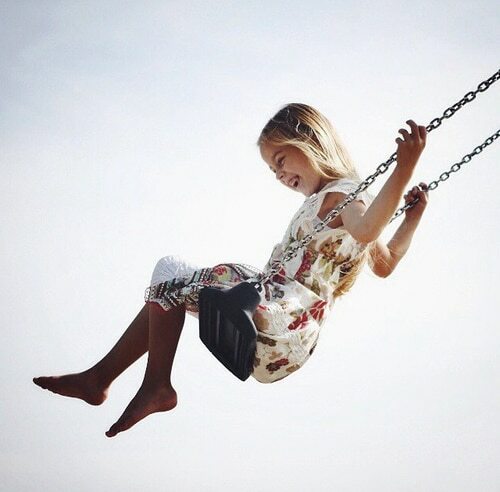 Plastic swings are much ideal for younger and lighter kids. This is because the plastic parts may not be able to support as much weight as wood or metal swings. But, since the plastic swings are lighter and are easier to assemble, you can readily place them inside your home, given that you have enough space. This is great because you can watch over your kids while they play to make sure that they do not hit themselves accidentally. 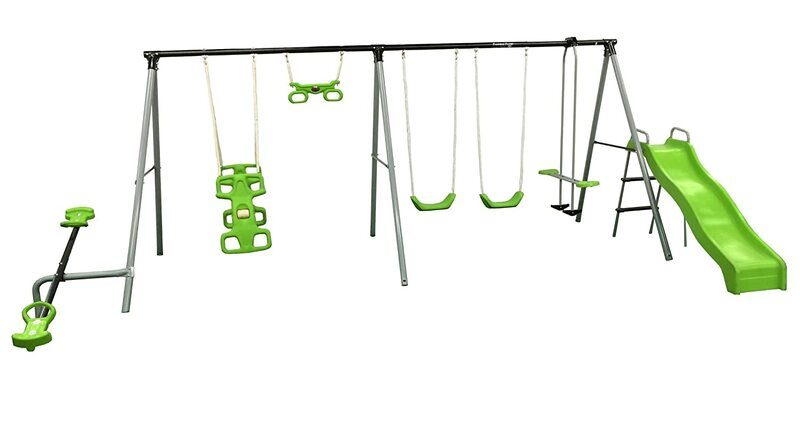 Metal – Metal swings are the most durable and sturdy of all swings, and they can provide a greater support to your kids as well – you are sure that the set will not fall apart nor tip over easily. Metal outdoor play sets are so strong they can even support adult weight. Plus, metal swings are also more capable of sustaining varying outdoor conditions, from rain to wind, hail, and snow. Thinking of building your family a wooden swing set? Wood swing set plans can be easily found via the internet, local hardware store of swing set retailer. Their plans are easy to follow too! Even a beginner with no hands-on experience will find no difficulty in assembling a wood swing set as long as they have the right plans. In these plans, you may also find reference to locations and websites where you can purchase the necessary material, hardware and swing set accessories to complete your project. Without them, your project will not be a success. Remember to purchase only proper weather treated wood for your swing set material. If that is not available, you can choose to purchase clear paint that will also protect your swing set from the weather. You do not want to spend time building a great swing set only to have it ruined in a few months by the weather. Alternatively, you can purchase wooden swing set kits, that include everything; from hardware to accessories to instructions in the kit. This is much more convenient and saves time although they will cost more compared to hunting for the material yourself. Are You Looking for a Kids Swing Set? Are you buying a DIY swing set for your kids? Whether you are choosing for a baby or a toddler, care should be taken to make sure that you are able to choose the appropriate DIY swing set for the age of your children. Moreover, you should look for a set that can be used on a long-term basis so that you will not have to buy another set once your children outgrew the swing set. Here is a more detailed discussion on the things that you need to consider when buying a DIY swing set for kids. Are you buying for an older baby, toddler, or child? Older babies and toddlers are not strong enough to hold themselves while sitting. Select a DIY swing set that will provide support to the child’s spine while sitting. You may choose one with a soft plastic seat, which can be replaced when the child gets older and bigger. It would be easy to choose a DIY swing set if you have older children since there are plenty of options that you can select. If you do not want a high maintenance set, choose the one that is made of metal. You can also get a wooden set that comes pre-assembled or you can get a set where you are the one who will assemble once the package arrives home. Make sure to make a list of features that you would like the swing to have. A standard DIY swing set normally comes with two swings and a slide but you can find other variations if you do not want this setup. What type of swing set material is appropriate for your kid? Some parents prefer swing sets made of pine because they are soft but that does not mean that they are also durable. When you purchase a DIY swing set made of soft wood, you will not be able to tell if the frame is already rotting since soft wood normally deteriorates from the inside out. You can find plenty of swing sets made of lumber, wood, vinyl, and vinyl clad combination. Wooden swing sets can last for about 10 to 15 years especially if you conduct annual maintenance and monthly inspections. Meanwhile, if proper care, vinyl swing sets can last even up to 25 years. Metal structures definitely last longer while units made of plastic tend to crack and only last for a few years. It is important to choose a DIY swing set that is strong enough to withstand not only the test of time and the outdoor environment but also the burst of energy of the kids who will use the swing wet. When buying for a swing set, make sure that you get the value for your money. Comparison shopping is very important when you are choosing what to buy to make sure that you get the features that you want at the best possible price. Pay attention to the details of the DIY swing set that you are buying. There are swing sets with rounded corners and smooth surfaces and they are definitely safe for kids. For the kids’ safety, select a set that is smooth and is free from sharp corners. * Prior to installation, inspect your potential site for any large rocks, large roots, tree stumps, or any debris that may be present in the area. * Anchor it to the ground securely. 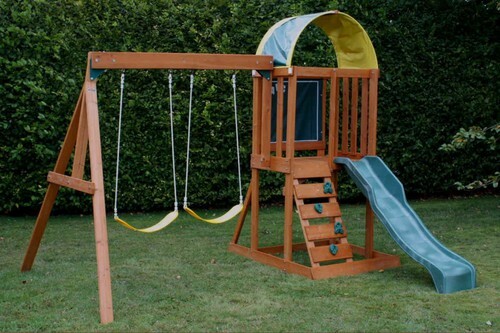 * Swing sets and playsets should be installed on a level of a ground as possible. * If lawn slopes more than 12 inches over a distance of 10 feet, you need to have the area leveled prior to installation. * The play equipment should be placed at no less than 6 feet away from any structures such as fences, trees, posts, landscapes, and walls. * Allow about 7 to 8 feet in each towards the direction of the swing arc. * Allow 11 feet or higher clearance for a sky-high head beam. * Place your Diy swing set in an area easily viewed from the house. * Position it in a comfortable and shaded area to keep your children away from hot weather. Make sure that there are no overhanging branches, too. * If you are to hire a professional installer, somebody from your family should be present throughout the installation process to examine the set up after it has been completed. * Plus, check if mulching or boxing is out of the area. It is recommended to do this after the Diy swing set and play set is mounted. Some dealers have developed materials like mulching that includes triple shredded wood and are insect and decay resistant. When you decide to buy a children’s swing set, don’t buy the first attractive looking DIY swing set you come across. Being attractive is not important when you choose a swing set; there are other points to bear in mind. So here are the 10 basic points you have to consider to choose the right children’s Diy swing set for your child. A very important factor is the structural strength of the swing set. This is because children have lots of energy to expel while playing, even with swing sets. So the DIY swing set should be strong enough to withstand this energy and the test of time. So consider the type of material and the structure of your DIY swing set before buying one. 2. You will have to make your choice based on the number of children and the ages of the children who will be playing with the swing set. It is basically better to buy a modular, option friendly DIY swing set which can be expanded when your kids grow older by adding some attachments. 3. Safety is important with children’s swing sets. So take care of details like rounded corners and smooth surfaces that may sliver your child’s tender hands. It is thus better to choose a DIY swing set made from recessed hardware and milled lumber that is devoid of sharp corners. 4. If you want to assemble a wooden children’s DIY swing set on your own, make sure you have clear plans to do so, and that the assembling difficulty level is comfortable for you. 5. Instead of your hauling the kit home, you could have it delivered to your house for a reasonable price. However, if you are not keen on assembling the DIY swing set on your own, you can have it professionally delivered and installed in your home. 6. If you are a person who likes changes in life, it would be better for you to invest in a wooden children’s DIY swing set as you will be able to change its color just by giving it a fresh coat of paint. This will really freshen up your play area when you get bored of the swing set’s existing color. 7. It is always better to choose a DIY swing set that offers a warranty against defects. And if you opt for a wooden swing set, make sure that it is protected from fungal decay and rotting. 8. No one likes paying extra for no reason at all. Thus, make sure you make price comparisons before you buy your children’s swing set. This is because different manufacturers offer different options with different features for the same amount of money. So keep the features, sturdiness, size and of course, your budget in mind while making comparisons for the perfect swing set. With all these tips in mind, you will be able to choose the perfect children’s DIY swing set for your child. Besides providing your child with endless hours of entertainment, your interaction with your child on the DIY swing set will create precious and lasting memories for you to harbor in your mind for years to come. It is essential to purchase a DIY swing set that is of high quality and durability to enjoy memorable moments for very long years. The design and variety of the DIY swing set play a role in ensuring the safety of the kids. You ought to know the varieties of available swing sets to purchase a perfect one that fits your needs. Here is a focus on DIY swing set varieties. Swing sets are generally made of either metal, wood or plastic. There are a great number of available models in each of the category. Examples of some models include double, classic and deluxe varieties. Cost of each of the DIY swing set varies with the design and the material used. These are large sized swing sets that are preferred by many. It is essential to take appropriate care to increase the life of the wooden swing set. There are varieties of wooden swing sets that vary in the quality of the wood used. The quality or type of wood determines its resistance capacity for water and bacterial growth. Cedar and redwood wooden swing sets are resistant to mildew or other bacterial growth and are greatly preferred by individuals who live in extremely cold climates. But you have to invest more to purchase them. A metal DIY swing set is very sturdy and lasts long. Many people do not prefer using metal sets because of their corrosive nature and the great chance of injuries to children due to sharp edges. If a child plays for a very long time in a metal swing set, he or she may complain of soaring fingers that develops due to long hours of holding the chains. Metal swing sets are generally used in public parks to meet the heavy traffic. They have to be painted periodically to prevent corrosion of the metal, which if neglected for long period results in breakage of the swing set. Plastic swing sets with a soft seat are the best for toddlers. But the drawback is that they last only two to three years. A plastic Diy swing set can only bear less weight. However, if you are not worried about the longevity of the Diy swing set then you can go for a plastic swing set. They are available in a range of bright colors and can be used either indoor or outdoor. If you have purchased an outdoor plastic swing set, it is recommended to place them indoors when not in use, as plastic gets damaged easily if left outdoors. With the above information on the varieties of swing sets, you may be getting confused about which one to purchase. Don’t worry. Base your decision on your needs, budget and the age of the kid to whom the Diy swing set is being purchased. If you are purchasing for a toddler, go for plastic one. If you can afford heavy budget and wish to have a Diy swing set that remains sturdy for very long years, go for a wooden swing set. If you are purchasing a Diy swing set for public properties, consider a metal set. A DIY porch swing can be the perfect piece of outdoor furniture to add to your deck, porch, or garden. Porch swings are very iconic and can be a great starting point for any outdoor furniture collection. They can add a comfortable, classic feel to any deck or outdoor living area and can be accessorized with colored or patterned cushions or blankets. Depending on your size, style, and material preference, there are a few ways to find the perfect Diy porch swing for your home. The first thing to figure out before purchasing a porch swing is how large or small you want it to be. You will need an area large enough for the length of the seat and height of the chair when hung a few feet off the ground. You will also need to take into account the range of motion of the swing so it does not run into walls or other surfaces when people are swinging on it. Size is also a consideration because you will need to accommodate everyone who will be using it. Porch swings can come in sizes from individual seats to loveseats to even couch length. The size goes directly hand-in-hand with the amount of weight your Diy porch swing will be able to hold. If you are purchasing a Diy porch swing which will fit three or more individuals, you will need to not only pick a Diy porch swing made of durable wood such as cedar or cypress but you will also need to make sure it is hung from a sturdy area. Sturdy areas to hang a Diy porch swing include the roof of a deck or porch, a sturdy tree branch, or an A-frame base. The accessories included with the Diy porch swing are also important to consider because not all swings come with an A-frame base. These bases are sturdy surfaces which will hold your chains and swing and will also be a versatile option for placing the swing in different areas. Taking specific measurements of the A-frame is important because they are wide and will require a large area for placement. Cushions are also accessories to keep in mind when purchasing a porch swing. Because many porch swings are made of wood, wicker, or wrought iron, you will need to be sure you have some sort of cushion or padding to add to the seat for added comfort. Wicker and wrought iron are especially uncomfortable when you sit directly on them. Cushions are also easy ways to match your Diy porch swing with the rest of your outdoor furniture due to the different colors and patterns available. When purchasing any accessories for your porch swing, you will need to be sure these items will last in the outdoors. A-frames should be protected accordingly depending on what material they are made of to be sure they do not crack or rot due to rain or sunlight. Cushions should be made of weather-resistant material so you will not have to replace them each season, which could cost you a lot of money in the long-run. Chains and hooks are especially important for your Diy porch swing because they should be sturdy and resist rust. Rust will cause your chains to become weaker so for the safety of your family, they should be checked each season. Covering chains with rubber tubing is an effective way to keep them lasting year after year. Garden furniture merchants have produced a number of options when it comes to porch swings. This causes making a selection to be a daunting task. Here are a few factors that you ought to take into consideration that will help you to make an informed selection when you buy a porch swing. 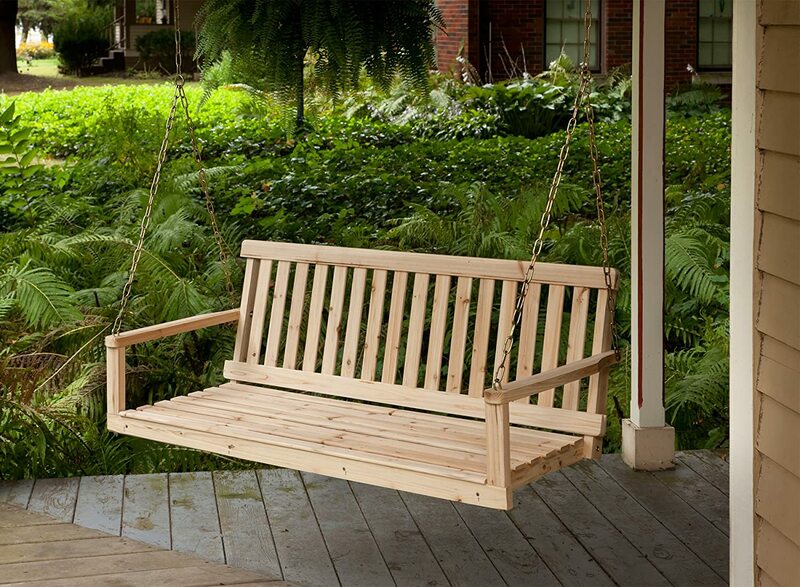 As you may have known, porch swings are produced from a wide range of materials today. You can easily come across swings, which are made of wood and wicker since these are the most popular materials nowadays. Some well-known wooden materials such as teak, cedar, oak, and maple are used far and wide. The types of materials vary excellently when it comes to durability as well as strength. Oak is the most powerful, but it is also so heavy while cedar has the greatest strength to the least heavyweight ratio. The wood is extremely light, and it has 80% the effectiveness of oak. Besides, cedar does not bow as well as crack, chip or sag. This makes cedar the most wanted Diy porch swing building material. The features which are physical such as seat depth, the curved angle of swing’s back, as well as space between the slats is not permanent. They can vary broadly. Among the physical features of a swing, the most important one is the depth of the seat. This depth should be from 18 to 36 inches. Please keep in mind that there is not any correct number for you. The working number for you is the one that makes you have a comfortable seat. This is all about your personal selection. It is believed that you can get the maximal comfort if the back of your Diy porch swing is tilted a little. Besides, having some space between the swing’s slats will be very well as this permits air to flow easily. How many people can be held on the swing depends on the length of swing’s seat. Do not forget that if the seat is too long, it requires much more assistance. It is recommended that you should buy a Diy porch swing that can have 2 seated people. Many people wonder whether they should purchase a completed or uncompleted porch swing. As you know, porch swings are available in a number of finishes. One is maybe stained while others are painted in colors varying from red to white or black, etc…, to incompleted swings; they offer a lot of options for you later on. Some even may be left to age with no completion. Set up process is also an important part you have to consider carefully. It is easier for those who own a covered porch uncovered joists. If you are going to build a Diy porch swing support system for your garden or the uncovered porch, there are a lot of options available for you because you are able to create the support system based on the length and weight of entire porch swing. Now, you have known some important factors you have to think about when intending to buy a porch swing. We hope you can have your preferred Diy porch swing soon. For years, the DIY porch swing has been considered a seat used for relaxation and rejuvenation. Many people will sit on their porch swings during late Saturday afternoons reading a book and trying to forget all of their daily concerns. However, to ensure this time is the best moment of relaxation it is imperative your wood Diy porch swing is suited to your personal style. This means that before you purchase a wood swing you should consider various factors to ensure it meets your furniture standards. Below are some of the more important points to examine. Nowadays, outdoor porch swings are available in a plethora of materials ranging from wicker and iron to plastic and wood. The majority of people will look at purchasing swings to complement their homes, for example, a white DIY porch swing will complement a brick home superbly; however, it is imperative the correct material is chosen to boost this choice. Irrespective of whether you prefer contemporary or classic styles, it is recommended that one consider an outdoor swing. There are various types of wood available on the market including oak, ash, teak, maple and cherry wood. Each wood has a particular color, thus contributing to different styles; therefore, you must be aware of what style you would like and choose a wood suited to your needs. Before purchasing a porch or patio swing it is advised that you consider the climate you will be facing. Weather can play a great role in the durability of a Diy porch swing and it is imperative you find the correct material to withstand whatever is thrown at you. Plastic porch swings are best in areas that receive large amounts of rain and snow as they are easy to clean and are highly durable. However, a wicker patio swing is best in warmer temperatures as it stretches easily. Wood patio swings are convenient and suited to both temperatures; however, this is only if coated correctly in waterproof and sun-proof sealants. Many people who consider swinging styles will think they are looking at hammocks; however, it is important to consider swinging styles when purchasing a wood porch or patio swing as well. The swing can be purchased separately and may be hung from independent frames for security reasons. Yet, if you do not have a sturdy or supportive roof joist on which to hang this independent swing, then the porch seat will not be stable in the least. A vital consideration to make is when purchasing a wood porch swing is the size of your porch. Many people become over-excited at the prospect of owning a swinging porch seat and will purchase seats inappropriate to their porch measurements. Always take accurate measurements and adhere to these when buying a patio seat. In conclusion, while buying a patio seat can be exciting there are various factors to consider before you are able to sit back and relax. These tips though will help you to find the one that fits you the best. You are going to love that new seat on the front porch. The child crouches low, their eyes on the target ahead of them, as they prepare to spring forward and reach their target. In a sudden burst of movement, they dart across the lawn and leap into the air, both feet landing solidly on a wide wooden swing before their momentum pushes them forward and up into the air. With both hands firmly on the ropes, they quickly begin to move back and forth as a way of creating greater height. This is something they do all the time, and the swing in question has yet to fail them. Rope swings can be one of the most interesting and entertaining facets of a child’s life since they’re so unlike every other sort of toy. There’s a reason so many public play areas include swing sets, but even these can’t quite match up to the comfort and ease of access that a rope swing in your own home can provide. Whether it’s the way that their own movements translate directly to action or the simple thrill of defying gravity and soaring into the sky, rope swings are a fantastic inclusion for any household. However, before you rush out to install one, you should think carefully about the kind of swing you actually want to use. If you really have no interest in enjoying a relaxing seat in the great outdoors, then a child-sized swing is often the most appropriate choice. Since they’ll be the ones using it, be sure to ask your child which sort of swing they’d like to have. The standard rope swing offers a rectangular seat supported by ropes and straps, while a round swing has only one rope but offers much greater freedom of movement for the child. Just be sure that there’s nothing that’s going to get hit if they swing a bit too wide! If done at an appropriate age, purchasing a rope swing can be a great way to explain to your child the way that adults do things and how their choices can have an impact on their life. This tends to give children a feeling of empowerment and show them the ways that they can improve their happiness through the choices they make… And really, they are going to be the ones using it, so why not give them a say? In addition to these child-sized swings, however, part of our Tree Swing line includes adult-sized products that offer the same degree of entertainment but designed for all ages through a bigger board to sit on. You might not be planning to go quite as high as a child will, but even so, there’s something special about sitting down and relaxing as you watch the world pass by without quite feeling like gravity is continuing to hold you down. All products from Rope Tree Swings are handmade by professional craftsmen and feature weight-tested designs to ensure that they can deal with any amount of standard use, up to and including several people at once. More information on each swing is available on our website, so if you’ve ever thought about moving a little higher in the world, visit us today to see what your options are.